It's always nice to bring small presents when we're invited to a party or event. But it's not always nice trying to figure out what to bring, especially if we're not into buying something useless, such as a decorative item that will end up in the trash, or if our host already has just about everything. Something edible is always a good choice -- everybody likes to eat! But we might not feel comfortable bringing food, as it might look silly. But! If you place the gift you are bringing into a nice container it's a totally new ball game! First you need to cut the paper to match the container size. It doesn't have to be exactly the same size, as you'll trim it later on. But make sure the bottom line is straight and that your piece is big enough! Then we're going to glue it on. There are two methods to do this, depending on the look you want. If you want it to be smooth (good for smooth wrapping paper) use a glue stick. 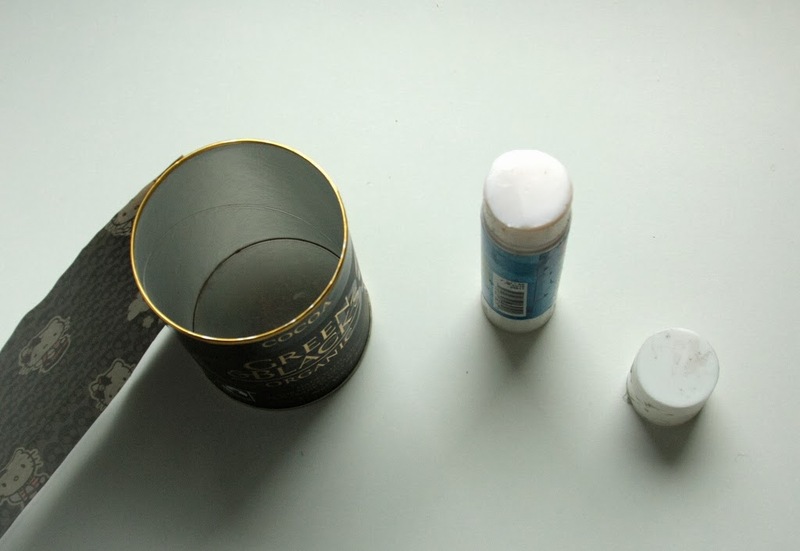 Spread glue on the seam of the container, and then around the top and bottom edge. Make sure you get all the edges covered, but don't spread the glue all over, since it will make the paper wrinkle. 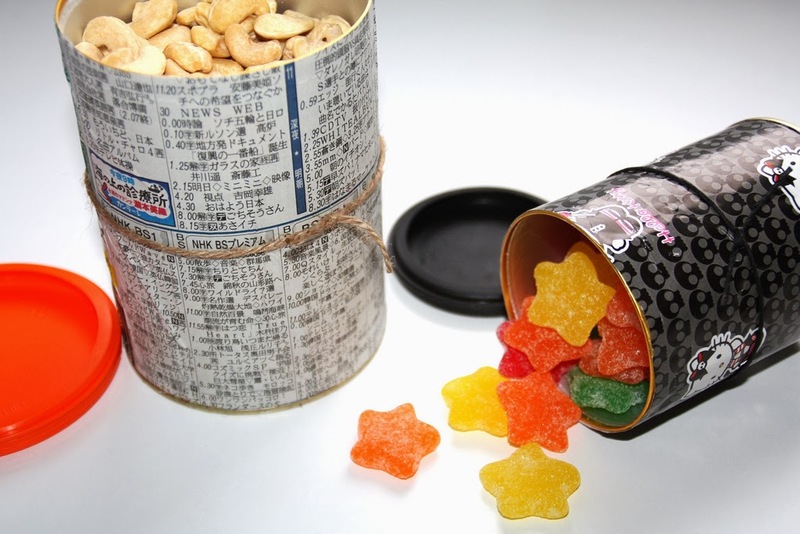 Starting from the seam, wrap the paper around the container. Make sure you get the bottom part straight. 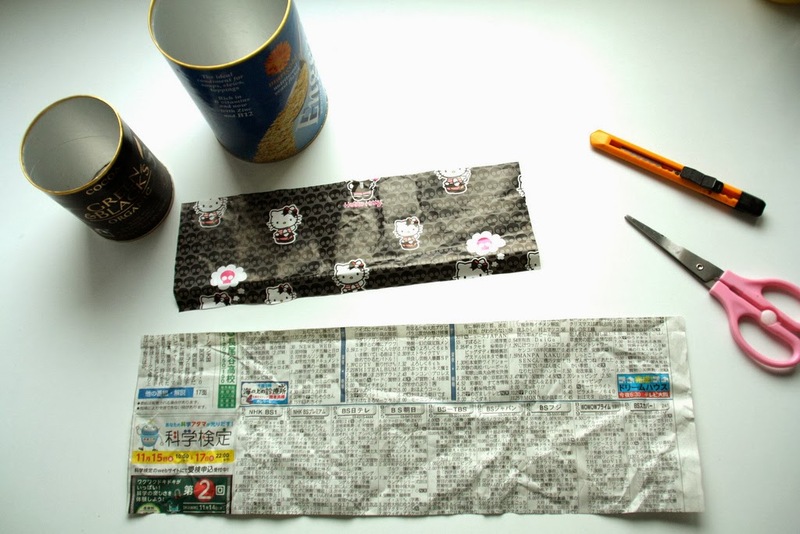 Let the paper overlap a bit and secure with glue. If you're after the more rustic look, use liquid glue and an old paint brush. 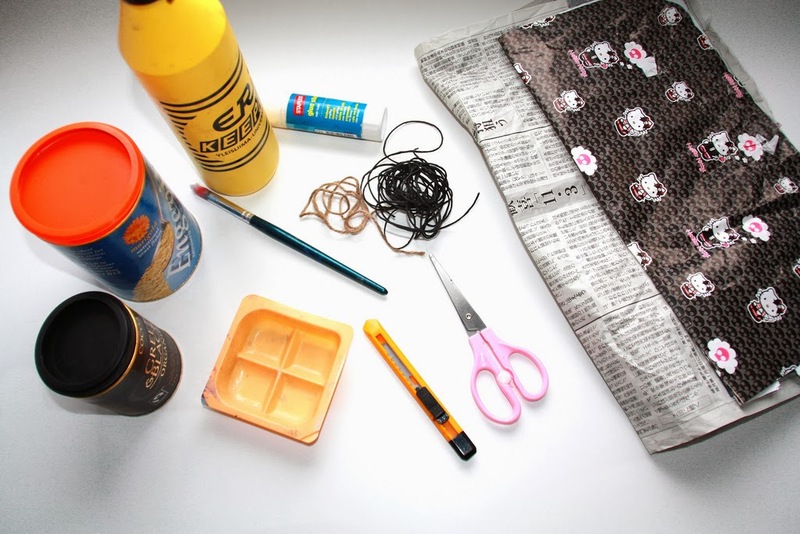 Spread glue all over the container. When wrapping the paper around the container, don't pull it too smooth. It's supposed to wrinkle a bit! 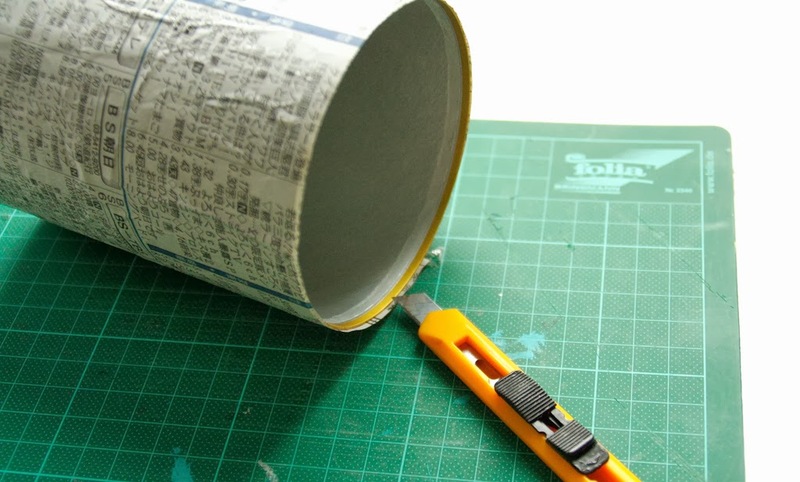 After the glue has dried, you can trim the edges with a craft knife. You can use scissors too.